Before we get to the second guessing of the final offensive play for the Seattle Seahawks, lets face facts. 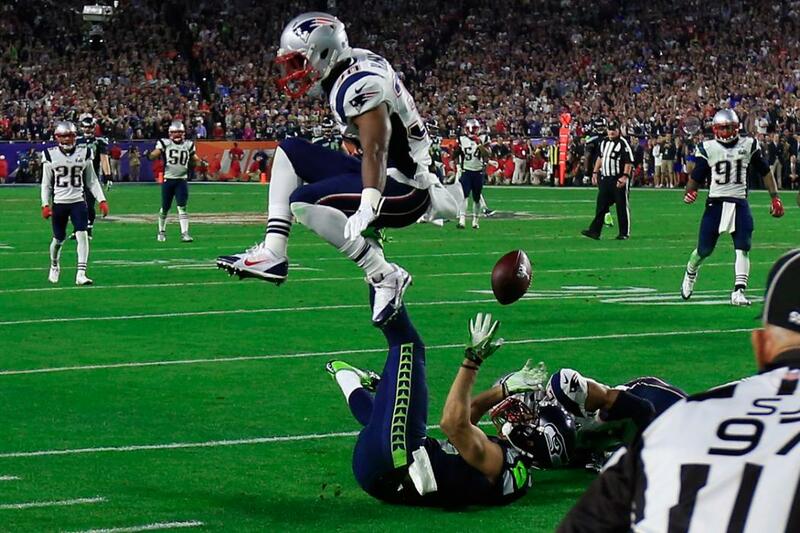 Time of possession was a huge factor in the New England Patriots winning Super Bowl XLIX. As was the fact that going 8 for 14 on third down and having Tom Brady being sacked only once helped them score 28 points. Who played to win the game? Both of them did, but we all know that if anyone else had a say, Marshawn Lynch would be getting the ball on the one yard line. Whether Russell Wilson likes it or not that play will define him until he wins another Super Bowl. Hearing Seahawks head coach Pete Carroll rationalizing after the fact the process in which they decided to pass the ball was strange. I understand that he is answering reporters questions, but just hearing him going through the process of calling a play tells me that you and the staff were overthinking it. How many times have wee seen Lynch power his way through a goal line formation for a one yard touchdown? There’s a saying that I go by, which Seattle should start using; go with what got you here. Simple and to the point. Now with all that was happening leading up to this game it’s a wonder that no one realized until the game started that Tom Brady is still a pretty damn good quarterback. Throwing one stat at you. Counting this latest Super Bowl he has led the Patriots to victory with a game winning drive in the fourth quarter 9 out of 12 opportunities in the playoffs. He also passed Joe Montana for touchdown passes in the Super Bowl and tied him and Terry Bradshaw for most Super Bowl victories. Tom didn’t start out perfect, but he finished on top. The gameplan was about as perfect as it could be. There was no challenging Richard Sherman downfield. Mostly short and precise passes to spread the Seahawks defense thin. Seattle certainly had the Patriots where they wanted them. Especially in the third quarter when it looked as if the Seahawks would begin to pull away with a ten point lead into the fourth. Giving up 14 unanswered points in the fourth wasn’t part of the plan, but you have to give credit to Malcolm Butler on that interception at the one yard line. The ‘what if’ and legacy questions will rain down on this Super Bowl for quite some time. The only thing that remains is we saw some amazing plays to finish off another season in the NFL. Case in point was the catch by Jermaine Kearse to put Seattle in position to potentially win the game with a minute to go. That shouldn’t have been a catch, but it was. New England and Seattle both could return to the Super Bowl next year, but a lot of questions remain if some key players don’t return. I don’t see a repeat even if they somehow both don’t see a lot of turnaround with their player personnel. This Super Bowl was exactly what I wanted and it wasn’t a repeat of last years one sided affair. This entry was posted in Football and tagged Football, NFL, Patriots, Seahawks, Super Bowl, Weekly Review.